At School Systems FCU we always look for ways to make your financial tasks a little easier and we’re pleased to announce an upgrade to our existing Bill Pay, which also includes new online payment and transfer options. 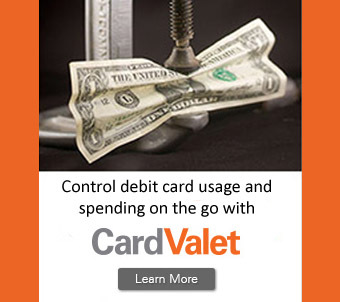 School Systems Federal Credit Union is pleased to offer CardValet®, a card management and fraud mitigation tool for debit cardholders. Recently there have been numerous reports of text message scams across the United States and even locally, notifying consumers their debit card has been blocked and they need to call a telephone number to have it reactivated. If you are going to be traveling and plan to use your School Systems FCU Visa Debit Card, Visa Gold Credit Card or Visa Classic Credit Card, we encourage you to notify the Credit Union.